If you would’ve told me two years ago I would’ve been making homemade mouthwash, I would have said you were crazy. As I went on this journey of cleaning out the clutter in my life, I didn’t dream I would become more and more aware of the waste we put into our landfills, as well as the wasted money I spend every day on products, in an almost robotic or mindless way. As I kept gargling with my pricey, store-bought, mouthwash, I kept thinking about why I am putting chemicals in my mouth, when I don’t even know what they are, or if they really work. I knew as my thoughts kept running wild in my head, there was no going back; I would have to be bold and brave and try it one day. Why not? If I didn’t like it, I could always go back to throwing away my hard- earned money and putting unknown chemicals in my mouth, right? Before going further, I wanted to share a little bit about my dental history. All my life I have suffered with severe dental problems. As a child, I had tons of cavities (but I also ate tons of candy…go figure). 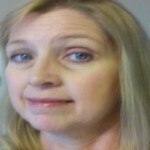 All my adult life I have suffered with periodontal disease (soft and bleeding gums, constant infections). I use a high-end electric toothbrush, a water pik, and floss. In addition, I have to go for cleanings 4 times a year, because if I don’t, my small issues, become major issues. I also grind my teeth at night so I have to wear a night guard, or else my periodontal disease is exacerbated. Once I made up my mind to make a homemade mouth wash, the next step was to figure out what I wanted in a mouthwash. I want it to taste decent (decent for me may mean great to other people, because I’m not too picky). I want it to act as an antiseptic. I want it to freshen my breath. I want it to help keep my teeth and gums healthy. This led me to quite a bit of research. There are tons of recipes on the Internet for homemade mouthwash. I’m not going to provide them all here because it’s easy enough for you to “google” them for yourself. I found variations containing water, baking soda, essential tea tree oil, clove oil, hydrogen peroxide, flavored extracts, apple cider vinegar, and other essential oils. I began by researching each one of the ingredients I considered trying. When I started researching the apple cider vinegar, I found many warnings about the acidic properties of the vinegar, and the possibility of the breakdown of the tooth enamel. This was enough for me to not want to try it. I have enough problems without taking that risk. Distilled water – You definitely need distilled or filtered water. Why put any more bacteria or contaminants into your mouth, right? I prefer distilled because it will have a lower risk of bacteria or other contaminants. Hydrogen Peroxide – I’ve been using hydrogen peroxide to rinse with to help whiten my teeth. My dental hygienist gave me that tip. However, after researching, I found out it should always be diluted, because it is only safe in lower concentrations. Otherwise, it could possibly lead to the breakdown of the enamel. I still want to keep using it for its antiseptic value and whitening potential, so I decided to include it in the mouthwash. 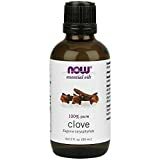 Clove essential oil – Cloves have been used for centuries for their antiseptic and analgesic (pain relieving) properties. I did see several warnings for pregnant women and the use of cloves. Apparently it is used to hasten birth during a long labor, so it could possibly lead to premature labor. I’m not a doctor or expert, but just wanted to make sure if you’re pregnant, you do your research and consult your doctor before using it. I did not research it any further, since I am not pregnant, nor plan to be. Cloves are also a natural anti-inflammatory, so I thought this could be beneficial for inflamed gums and to help with the inflammation my auto-immune disease causes. It might not help, but it certainly couldn’t hurt to try it, right? 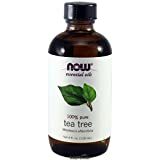 Tea tree essential oil – Tea tree oil is known for its natural antiseptic properties but not meant to be ingested or used in high concentrations. Finely Ground Sea Salt – Dentists have been recommending for centuries to rinse with warm water and salt, after any type of dental procedure, such as a tooth extraction. This is because salt inhibits the growth of bacteria. I chose sea salt because I already had the finely ground variety on hand and sea salt is less salty than table salt. 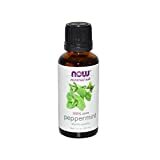 Peppermint Extract – I wanted to stay away from the extracts because of their alcohol content, but could not find the peppermint oil at my local stores. I wanted peppermint for the taste. 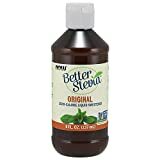 Liquid stevia – Stevia is a natural zero calorie sweetener I use all the time. It’s hard to find the liquid variety on store shelves, so you may have to order this online. Obviously, I wanted my mouth wash to have a sweet flavor. I like the results of this mouth wash. It does have a strong taste of cloves, but I’ve always liked the taste of cloves. This may not be to everyone’s liking, so please don’t write “hate” comments about the taste. It’s your mouthwash, so you can make it any way you want. I plan to try different varieties. For sure, I am going to use peppermint oil in the future to eliminate the alcohol, as it has a drying effect on the mouth. I can’t wait until my next visit to the dentist to see if this stuff works. I will keep you updated with any new recipes I try and with my dental check-up results. 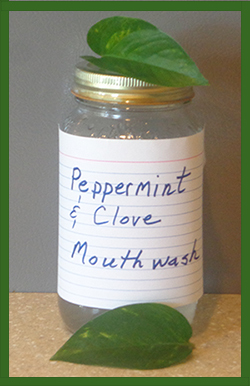 Remember, there are a variety of ways you can make homemade mouthwash. Do your own research and come up with the flavors for you and your family. Enjoy! Also, don’t forget to sign up for our free $50 Amazon gift card giveaway this week. Thank you for the recipe. I would caution about the 1/4 c of hydrogen peroxide. It is sold in different strengths and most ‘food grade’ H2O2 is 30%. (and you shouldnt use the kind from a drugstore. It is denatured and usually 3%) One fourth of a cup would be quite caustic! I use a splash (approx 1/4c) of it in my home kitchen cleaner (1/2 gallon container) and it bubbles on the counter when I spray it.